If you are in between sizes, then choose the smaller size if you do not mind this top is fitted around your waist, it will be very fitted on your shoulders and arms too. 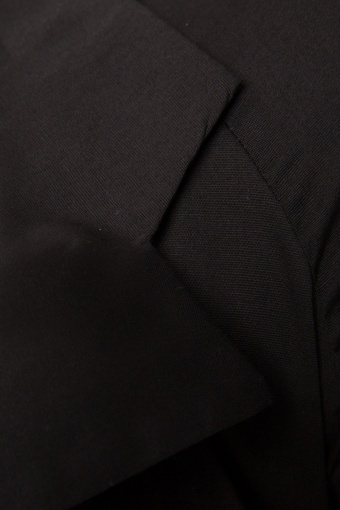 Choose the bigger size if you do not want it to be too fitted and if you would like to have more room around your shoulders. 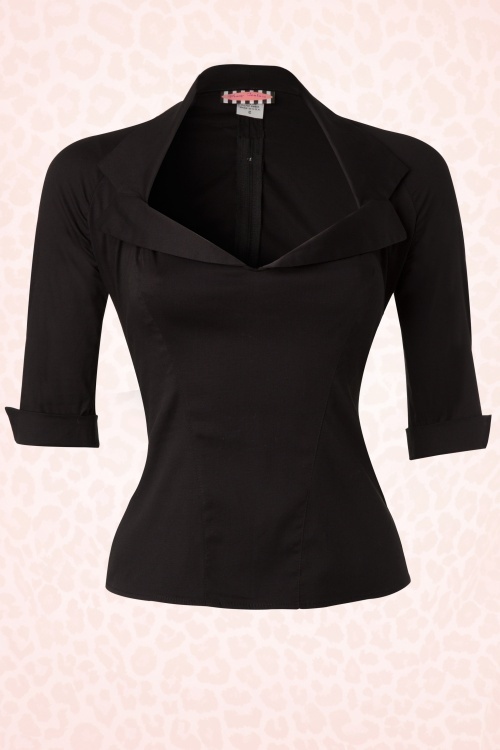 The 50s Doris Top in Black from Pinup Couture - This retro top with wide collar and half sleeves is the perfect companion to any vintage-style skirt, capri pants, or jeans. 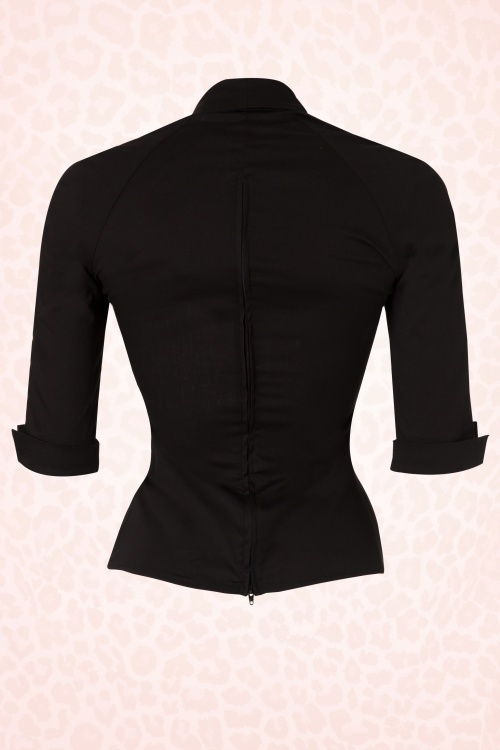 It is made of a black stretch poplin with a zipper down the back to be form-fitting and body-conscious, it is a must-have separate! Matching pencil skirts available in our shop. The skirt and pants are not available in our shop. 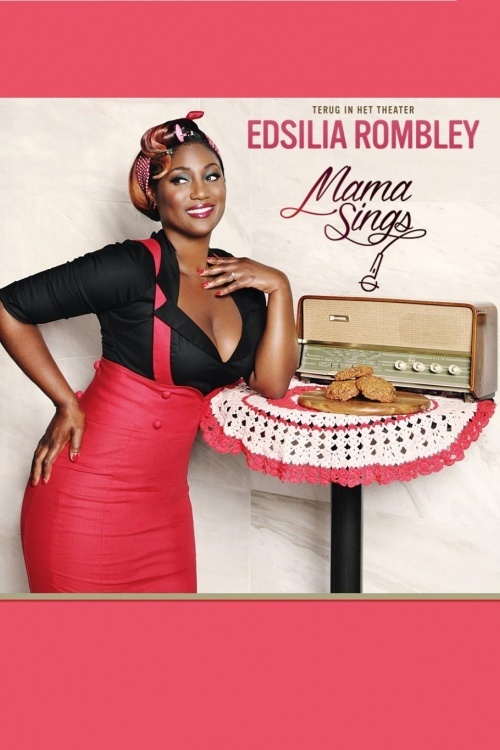 Seen on Dutch singer Edsilia Rombley!